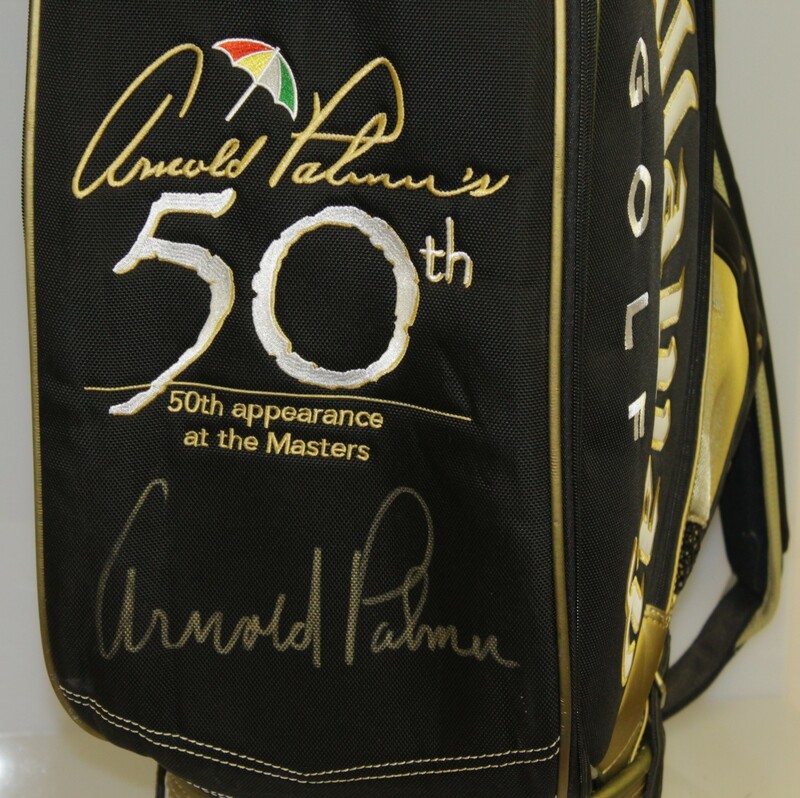 An item commemorating Arnold Palmer's 50th Masters appearance in 2004 is offered in this lot. 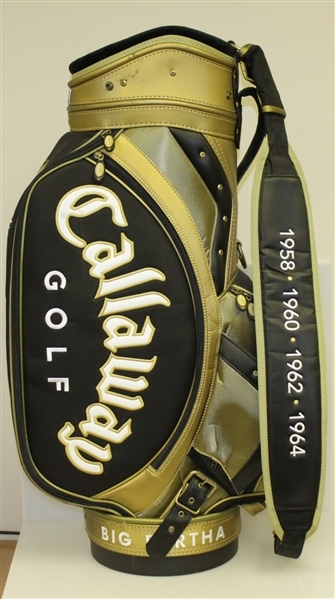 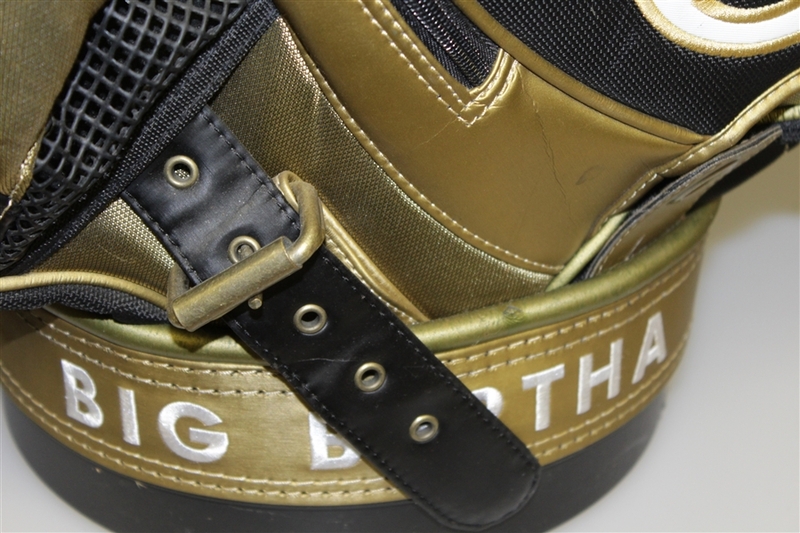 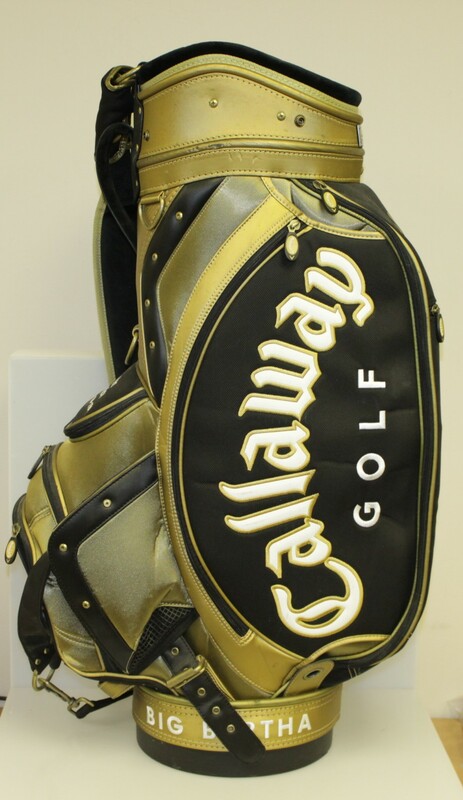 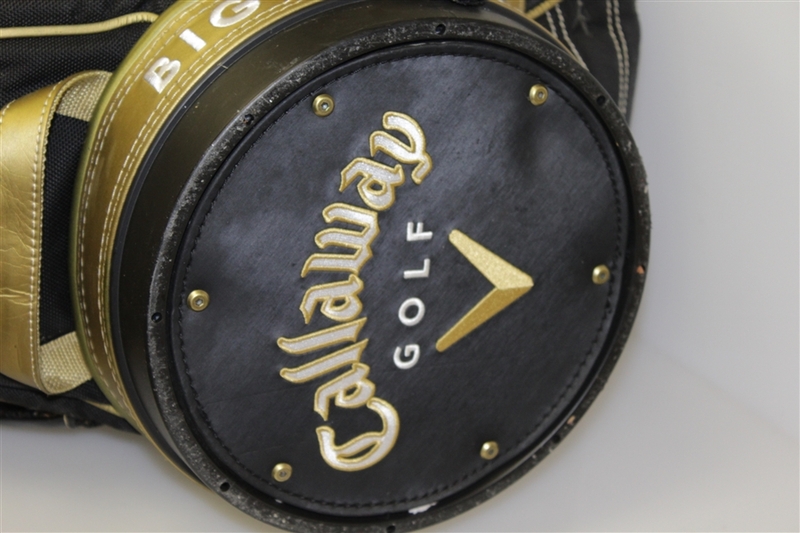 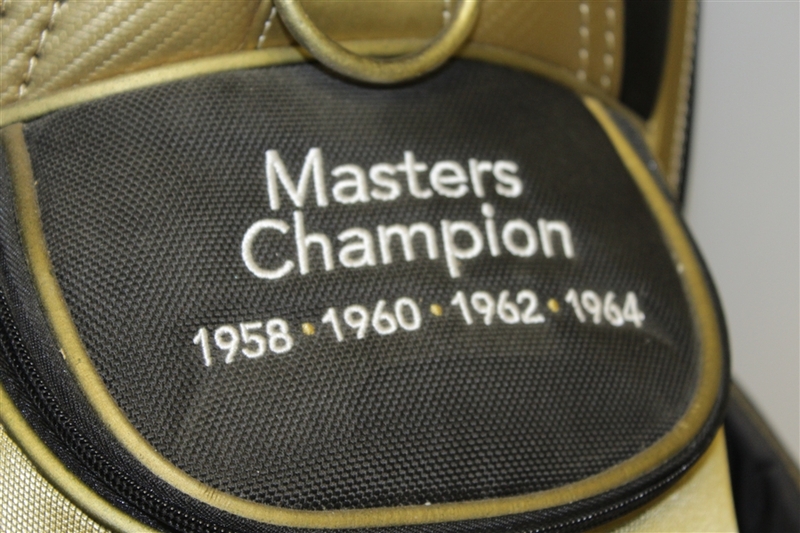 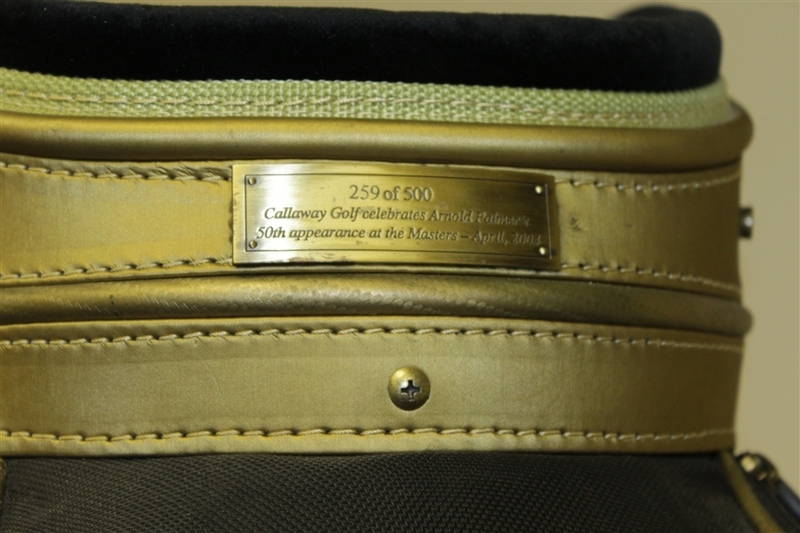 A Callaway golf bag commemorating his four Masters victories (1958, 1960, 1962, 1964) is presented, only heightened by Palmer's signature on the front of the bag. 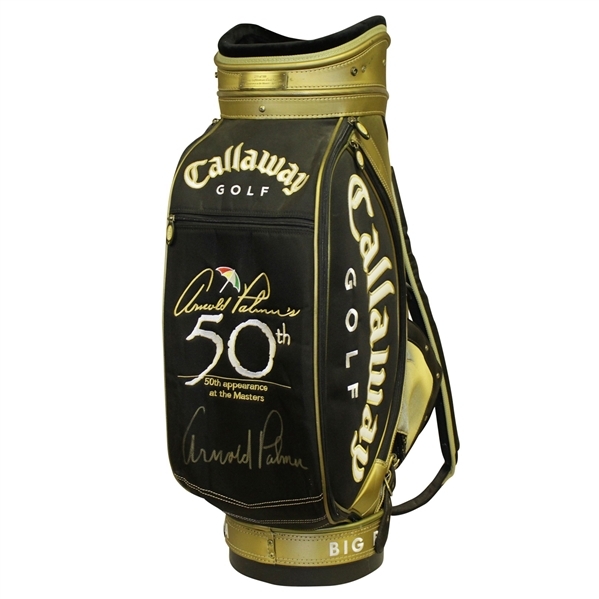 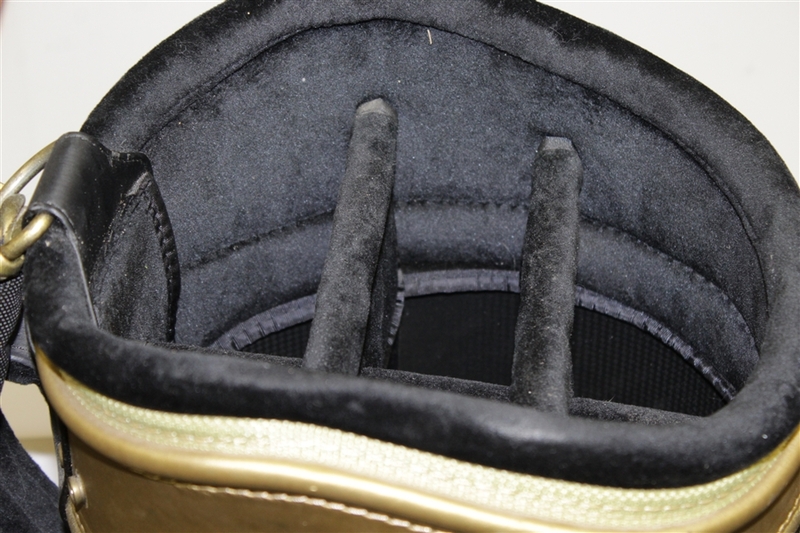 The bag comes in excellent condition and it highly presentable. James Spence Authentication (JSA) has reviewed the signature and their auction letter of authenticity will come with this lot.